The philosophy of the Rob Noel Golf Academy - Junior Champions Academy of Golf starts with student engagement in the development process. To accomplish this we must train our students in a fun, ever-changing environment so that students will be actively participating and improvement will be accelerated. This is the most important element of any extracurricular activity. 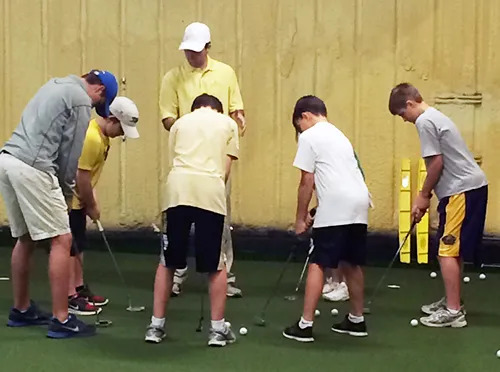 We understand that golf is a long-term sport and know that skill development takes time, practice, and level of comprehension from the student so they may "own" their game. Although we recognize there is no one way to swing a club, we do believe there are basic fundamentals that every golfer must possess (grip, stance, posture, alignment, and ball position). We also want all of our students to have the best tools available for their development. Therefore, we have created an environment from which student success can be achieved. All students will learn to respect the game, fellow competitors, and the environment. We will also provide instruction and activities that will positively develop individual character, confidence, teamwork, and sportsmanship qualities. 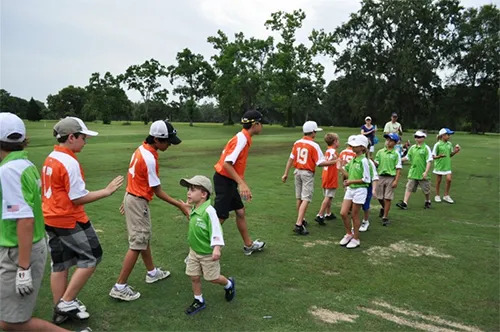 The Junior Champions Academy of Golf adheres to the Long-term Athletic Development (LTAD) model, which will be incorporated into every program at the Academy. The LTAD model provides guidelines for the preparation of athletes starting from a very young age all the way up to elite competition. We feel that the stronger the athlete, the better golfer they will become. There are critical periods in the life of a child where the effects of training can by maximized. The Junior Champions Academy will focus on these areas both in golf and athletic development to give our Champions the best opportunity for success. Learning a motor skill does not happen immediately. For example, becoming a great pianist happens over a period of time; golf is no different. Many experts believe that it takes a minimum of 10 years and at least 10,000 hours of training for an athlete to reach elite levels. In golf the numbers are actually higher! Most studies suggest that golf is closer to a 20-year developmental sport. 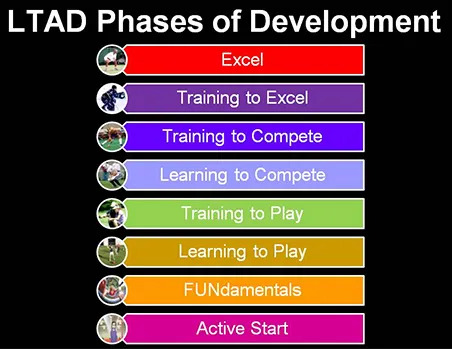 The LTAD chart here symbolizes the lifetime progression of an athlete ranging from Active Start (4 year old trying to learn to skip) to Excel (Rory McIlroy winning the United States Open).